This was a recovery week, which was great because it was race week for the first race of the season!! I started kicking up the pace on a couple of my runs in preparation for Sunday's Trolley Run. As I mentioned in the race report, I'm going to plan to speed up one or two sessions a week to give me some speedwork. This being my first race also marks the first of 6 races in the next 6 weeks. Completing out the weekly training plan will be difficult but I'll do what I can and skip what I must. I'm not planning to make up for lost time due to races. I didn't have a goal to focus on, then what's the point? I found this street sign rather interesting as we were walking towards our dinner on Saturday. 10 hour parking but that is on enforced during an 11 hour time span? 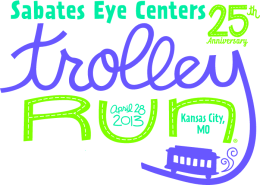 Today I completed my fourth running of the Trolley Run 4 Mile race that benefits the Children Center for the Visually Impaired. My PR for this race occurred in 2011 when I went 26:51. Last year I took a step back and completed it in 27:54. My training hadn't been as consistent last year and I was still working off some extra weight from my time in Bangkok. This year I didn't have any expectations. I just wanted to see where I was from a running standpoint. I knew a PR was a great possibility, but just wasn't sure by how much. This race landed at the end of the fourth week of my ironman training program but I didn't spend any time on speed work until this past week. It wasn't until DaneT suggested 26:00 a few days prior that I thought it was worth trying. My plan was now set. I was going to shoot for a 6:50 - 7:00 first mile, which has the only real uphill, and then 6:20s to the rest of the way. Naturally, I haven't done any runs under 7 minute pace in over a month but I knew I was capable, just didn't know by how much or for how long. TKB and I left the house around 6:10am and stopped at Starbucks for some high octane hydration. 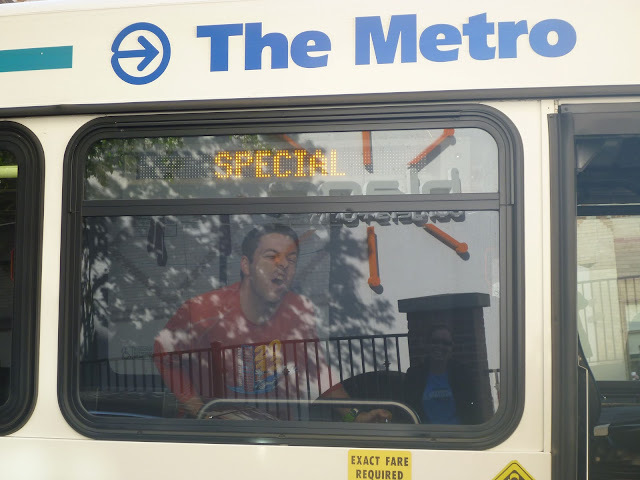 Once parked at the Plaza, I waited outside of Blanc Burgers for my ride to the start line. The race has a bunch of busses that will take people from the finish line to the start line but Dane and Karie suggested we carpool to the start and then I would take them to their car after the race. 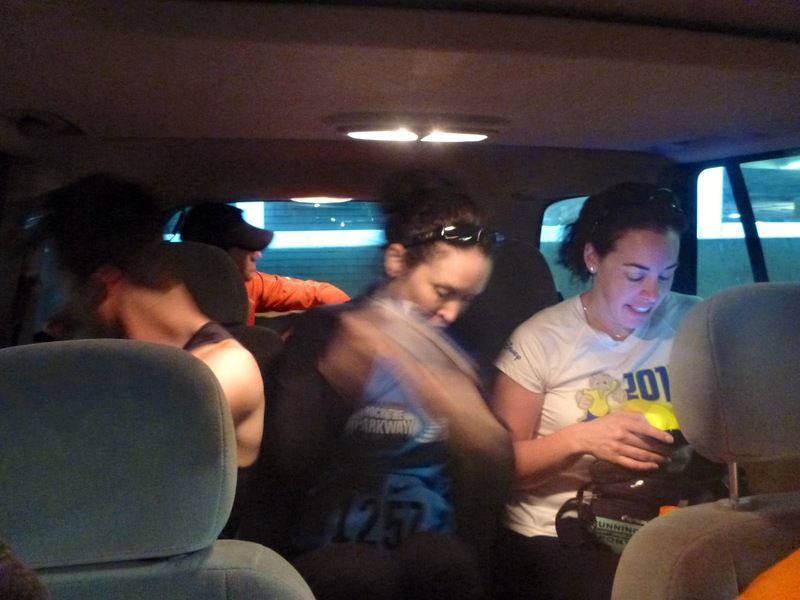 TKB finished her sleep in the backseat of the truck instead since she was going to wait for us at the finish line. The commute to the start line always feels like it takes too long consider it's only a four mile race. 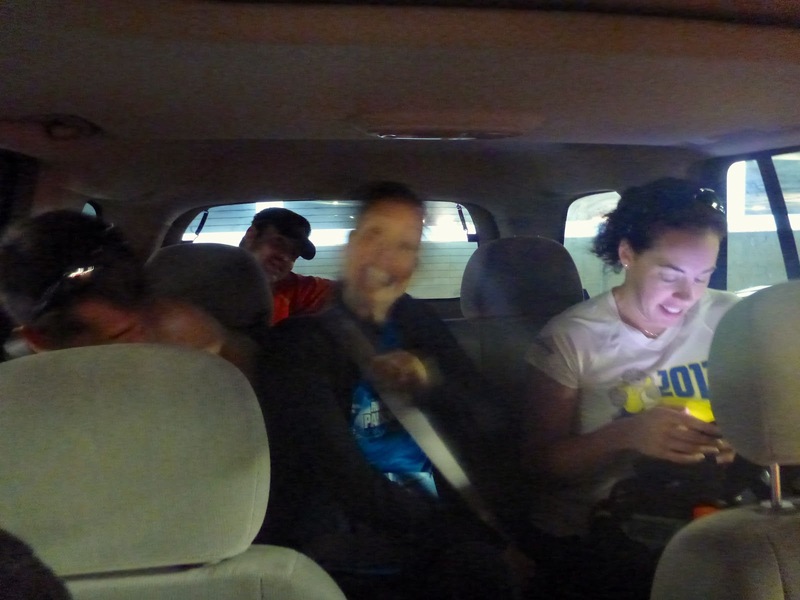 Once we parked, we hopped out of the car and did some pre-race stretches. Ok, DaneT and Karie did stretches while I watched. Dane is... how do you say... FAST. So he has quite the ritual. I sort of tried a few of the stretching techniques hoping to not look like I'm mocking him. I'm just glad I didn't hurt anything. We continued the warm up with a jog to the port-a-poties. On the way I saw some more friends (Danny) and family (Mykie!). 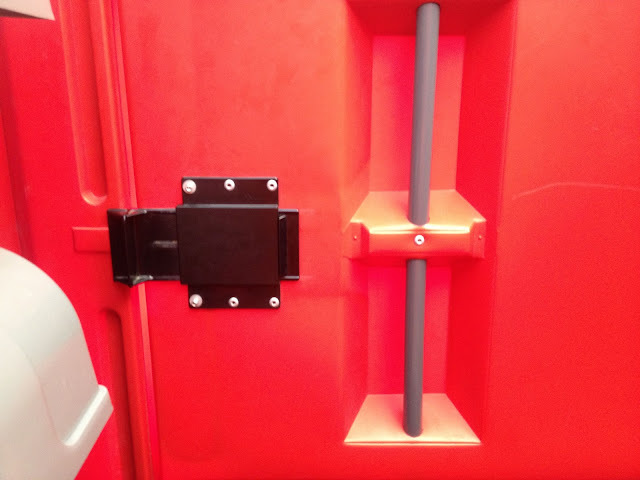 I guess it makes sense that there are "Oh Sh!t" handles in the port-a-pot. After I got out, I had lost DaneT and Karie, so I just headed over to the start line. As in years past, this race uses "waves" to release runners. To be in the "red" or first wave, you have to be able to run a 7:30 pace. I lined up right around the middle of the red wave hoping that maybe I was with the people who ran 7:00 minute pace so I could pace myself easier for the first mile. A few minutes after the wheelchair races, we were off! It felt good to be in a race again! My immediate focus was to NOT GO OUT FAST. Naturally I looked down at my watch, which was showing me 6:11 pace, and I just assumed it was off. Maybe it was tracking off of my footpod, which isn't as accurate. Either way, I slowed down as much as I could even with a major feeling of doubt in my watch's accuracy. Yeah, a bit faster than I expected but I was feeling pretty good considering the few uphills we had to contend with. During Mile 2 I just tried to keep the pace since I didn't have to do too much catching up with that faster mile and I didn't want to blow out too soon. Entering mile 3 I usually start thinking that I have 13 minutes left of pain but that nice thing was my legs weren't screaming because of the beating. My cardio felt strong, even though I had started breathing hard. I started the fishing game. For some reason I decided to shoot for people in green as my fish (or are they my bait?). This helped keep my mind focused away from any pain that is appearing. I had changed my watch to the virtual pacer, which I had set to 6:30 pace. The virtual pacer function shows how far ahead/behind you are from a target pace. I was 8 seconds off the mark! Now I did realize that with this race that's a large amount to make up. In the last mile I just kept picking off greenies. There was one guy in particular that I was chasing down. He was wearing a Midwest Triathlon Coaching shirt and green calf sleeves. The sleeves made me realized that in previous Trolley Runs my calf and thigh muscles would be aching by now, but not at all. I just kept pushing the turnover and trying to speed it up. I did catch the green calf sleeves guy and we ran pretty much side by side to the end. Before you know it we turn left onto Ward Parkway and I just pushed it as hard as I could. Fantastic! Granted, these splits were based on my Garmin's auto-splits and not based on the actual mile markers of the race, this meant I actually had .02 miles to go. Those .02 miles took 6 seconds to traverse. Even though when I stopped my watch, I had actually caught up with the virtual pacer, matching a 6:30 pace but I used that extra .02 miles to do it. 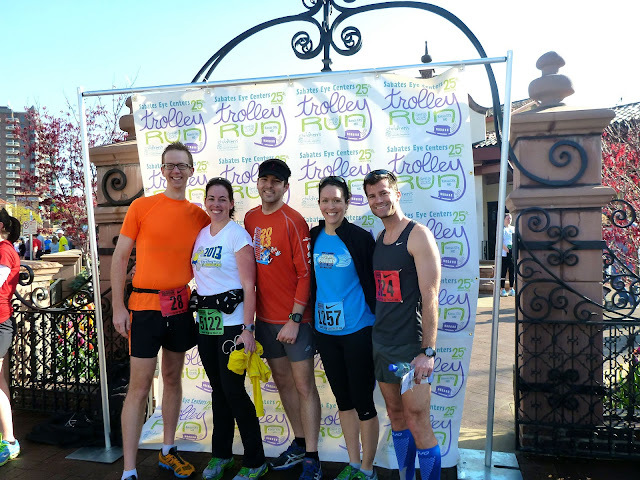 I meandered through the finish chute where I caught up with coworkers and discussed our race. After a while, I went back to the start line to catchup with TKB and Dane to watch the rest of our crew (Karie, Lauren, and Joe VI) finish. They always have good post-race grub here too. I am very pleased with this. While I missed Dane's goal for me by 8 seconds, I feel great about it. I can tell that all my conditioning during the offseason and the last four weeks of ironman training have helped. My legs felt strong the whole time and my cardio was doing just as well. I could definitely benefit from some actual speedwork, so I plan to start incorporating that in one or two workouts from now on. Now that it's getting warmer and school is almost out, I can start returning to the high school track. 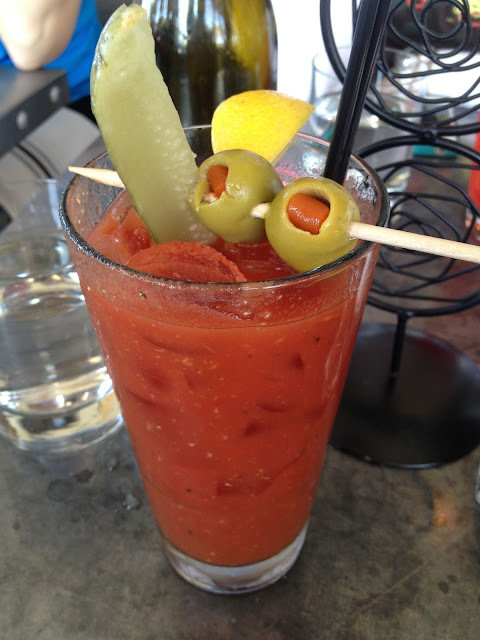 Post-race Bloody Mary at Urban Table. DaneT right in the middle. He's flying in for a 22:35 finish. I'm hoping his speed is contagious. Me in orange! Yeah, I actually moved over to this side of the street because I knew TKB would be here. The green calf sleeve dude is a few steps ahead of me though. Joe and Lauren didn't get the memo on what side of the street to be on. Karie is in there somewhere. Joe VI in orange, Lauren in yellow, and there's Karie in Blue! We overbooked the flight back to the start line. Joe VI is in the way-way back. Karie is always so fast, she's blurry in every picture. The mileage is ramping up! So much so that next week is a step back week. 3 weeks ago when I started this plan I was hesitant from the standpoint that my base was much higher than the prescribed timeframes for training. I was afraid to lose my running base. I have since decided to enjoy the lower training time, partly to get caught up on other items but to give my body a break. I was feeling some overtraining symptoms coming and they have since disappeared. Saturday afternoon I took my Tri bike out for the second time. DaneT (pronounced: "dainty"... Sorry Dane, your new nickname is going to stick.. for now... ) came over and we did a 25 mile route through Parkville and 9 Highway. Cycling in the middle of the day in March April means crazy wind we definitely enjoyed having it on our backs the few times it was there. Sunday morning I did a 60 minute run. My training plan calls for either Zone 1 or 2. Zone one is pretty slow and I took advantage of it. My body was exhausted. The way my training plan and strength training sessions work, I end up working out every day of the week. Monday is my prescribed rest day based on my training plan but I am spending 45 minutes to an hour working out on weights with the trainer. So far I haven't had an issue with it but my tired legs on my run may be an indicator of problems to come. I'm monitoring it closely but it will be good to have an "off week" this week as my plan takes a step back. My off season officially ended two weeks ago with the start of my ironman training program. 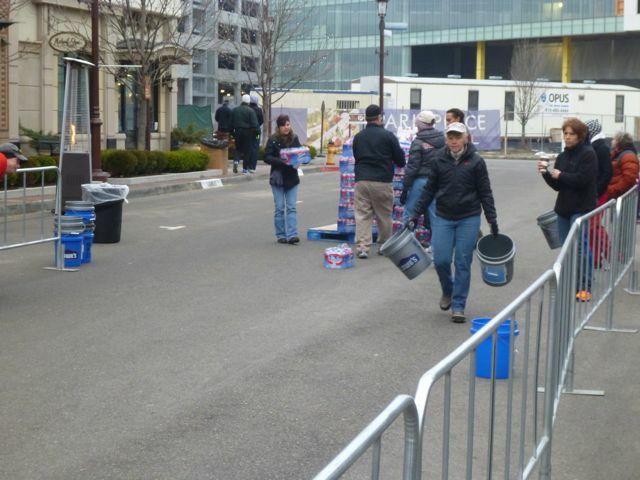 It was also kicked off with a bang with Brew-to-Brew on my birthday, April 7. While my season still has some tweaks to be made, it is mostly concrete. NOTE: Technically my first race of 2013 was the Disney World Goofy Race and a Half Challenge in Janaury 2013 but I consider that the end of my 2012 season. 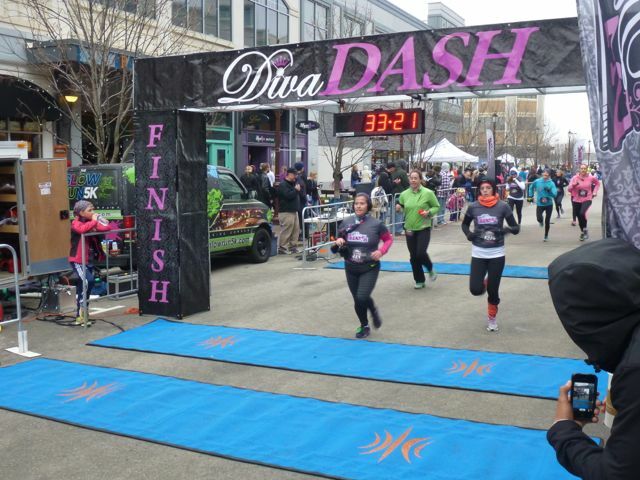 I have yet to miss this race since I started running. I was selected for my company's team again this year as I did in 2012. 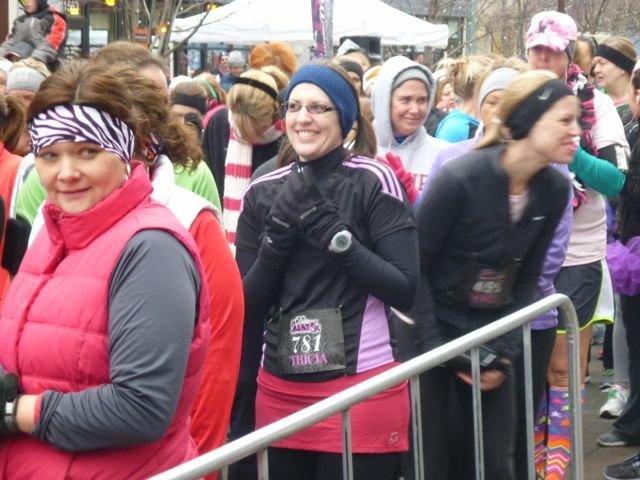 My goal for this race is to evaluate my running. I'm hoping for a good PR in this race. My best was in 2011 at 26:51. Obviously I'm doing this for my company as well. Last year I did this event for the first time and it was at Shawnee Mission Park, which is full of hills. This year it will be the Rock The Parkway 5k course. I'm not expecting a PR (20:02) but do want to make a good solid appearance for my coworkers. Returning to the event of my first triathlon. Finally going to get my bike out in competition mode! 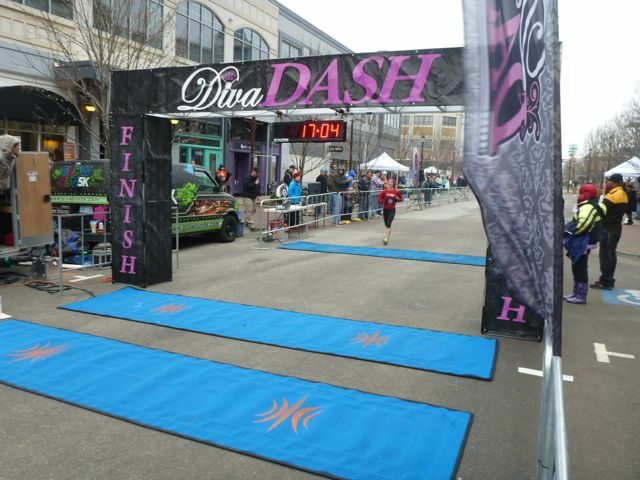 This is still an evaluation race but I am hoping to slaughter my time from 2011 of 2:46:43. The course should be the same as it was in 2011 instead of the jacked up one that was used for 2012. I'm totally stoked about this one. It's a 3 mile race that takes place ON the Kansas Speedway track! A 2 lap time trial and I get to use my new bike. I don't anticipate anything spectacular because I'm training for endurance and not a short time trial, but it'll be fun. I'm still waiting for someone to bump me out of slotting for this race though, but my fingers are crossed. I'm still debating about my goals for this one. I would love to see a PR here (1:40:10) but at this point in my ironman training, I'm not going to be training specifically for this distance. Meaning that my longest run will only be 90 minutes leading up to the race. Sorry, coworkers but I'm only going to be doing this for a participation point. I have a 60 minute run on my training plan scheduled that day and my event doesn't start until 9:30pm, so I will do my 60 minute run right after work and then take a nap prior to the event. This will be my "A" race for the first half of the season. Joe VI, DaneT, and Shane are going to be doing this race. I LOVED it when I did the short course in 2011, so looking forward to it. I'm currently slotted for this but will probably only get participation points (see dates for this race and Topeka Tinman). I'd be totally fine if I got bumped. I PR'd this course in 2011 when I went 20:02. Can I finally break 20? That's right, I'm going to Disney again for another two race challenge! This time it is in Disneyland and it's for a 10k and half marathon. I will no doubt be going for a PR for this race, probably for both distance (note: I've only done one 10k so that should be easy). Joe VI and I will get the 10k medal, half marathon medal, Dumbo Double Dare medal, AND the Coast-to-Coast!!! The coordinator asked me to run this but with KC Tri the next day, I don't want to kill myself. Doing two tri's in one weekend is stupid enough. I really liked this race in 2011 and it's a good July triathlon to keep me evaluating my training but not sure I want to give up a training weekend for it. I REALLY want to do this race. I mean... BADLY. It is going to require some travel and a hotel stay because it is about 4 - 5 hours away. The reason I really want to do it is because I want to use it as a practice race for my ironman in October. It's a half iron so it will give me a good dress rehearsal. There is still a good chance I'll sign up for it but still debating and closely eyeing the registration list. I didn't really like this race in 2011 but I should definitely get a triathlon in if I don't do Shawnee Mission Park Tri. I'd only do this if I don't signup for Pigman. Since the North Face Endurance Challenge cancelled the Kansas City road race, I don't have any plans for these months. Depending on how Beach2Battleship goes, I may be looking for a good local marathon. My Ironman training has officially begun! My busy time continues into April, which is lame because the first two weeks involve Brew-to-Brew and our birthdays! If you compare these distances and times to my previous week-in-reviews these are lower than during my off season. My training plan is currently in the base building period. I decided to strictly follow it to give my body some much needed rest. 1. 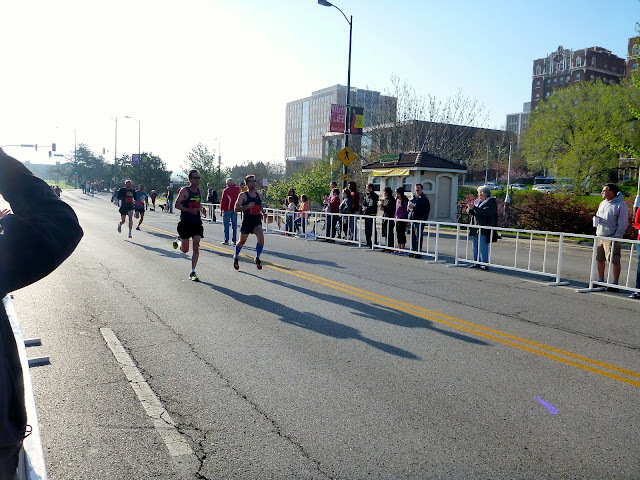 Brew-to-Brew was April 7 and I ran two of the longer legs. 2. I sort of messed up and redid the week 1 training for Bike and Run during week 2. Oops. My swimming distances are definitely higher than during my offseason. I had just hit 2,000 yards per sessions but not only am I doing 2,500 yards, I am actually doing drills. I'm already feeling like I'm getting improvements in my swim because of it and because of my strength training. Not sure I can close this post up without saying something but as I sit here trying to type something, I'm not sure what to really say. This is absolutely horrible. I had friends running this race. Fortunately none of them were near the finish line when this tragedy happened, although Jill was within a few miles. I have many friends who live near Boston that would have been at the finish line if it weren't for other responsibilities. I'm glad everyone is OK but sadden by those that aren't. My heart is heavy and my thoughts are definitely with them. There is a meme going around about wearing a race shirt tomorrow. While I have to wear business casual, that doesn't mean I won't have one on under my dress shirt. Ugh. March was not kind to me with blogging. I had such a roll going after Disney and into February and then March hit. As I mentioned in a previous post, I've been working on some crazy web site projects as well as getting most of my training in. Oh yeah, and the whole "pay the bills" job thing. So in reviewing my long list of topics for my Hospital Hill Run blog team, I decided to throw an audible and maybe give some insight as to something athletes may not normally partake in: "Athletic Supporting". No, no... it's not what you think. It's being that loved one who gets up with you at the crack of dawn to go to a race. The person that schleps around your stuff while you are out competing. That person that freezes their tuchus off waiting for the sun to rise high in the sky all while hoping to not miss that perfect photo of you crossing the finish line. I must say, in the three previous race seasons, I have never been that person. Well folks, that changed on March 23. You see, my wife isn't into doing the stupid crazy long distances that I do. The 5k is her marathon! So, when she's doing a race there is a good chance I'm also doing it and usually doing the longest distance available. So by the time I'm done, she's been done for a while. I rarely get to see her finish. With a nice 8:30am start time, we were able to get a little extra sleep. I should have been a good boy and did a bike ride before hand but held out hope for a good trainer ride afterwords while the wife was sleeping off the race. Instead of packing up my post-race clothes or pilling my bike and tri-bag in my truck, I was making sure the camera was charged and ready to go and validating TKB's last minute clothing choices. The temps were suppose to be in the mid-30s and cloudy. Not optimal as I wasn't exactly sure if I would stay outside or seek shelter inside. By 7:30 we were off! The race was at Park Place next to the Sprint campus. 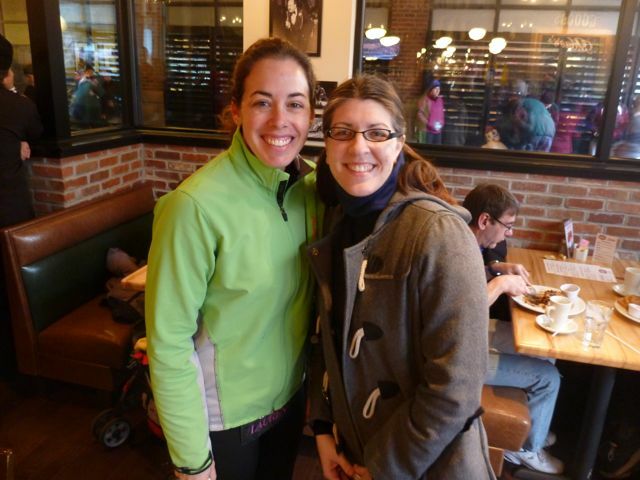 We live near Parkville, so it was a bit of a haul but our hope was to arrive around 8am and meet up with Lauren (my training buddy Joe VI's wife). Lauren was also running the race but Joe was still hanging out at home with the kiddos. I was on my own! Once we huddled inside a small diner, TKB and Lauren did the pre-race duties of hitting the bathrooms. I actually don't recall seeing many port-a-pots out, which might explain why this place was pretty packed. Pretty soon we were headed over to the start line, which happened to be outside of this diner. This is definitely when being a spectator is noticeably different. For one thing, I was wearing 10 times the amount of clothing that I normally do. The second thing is I was holding keys, jackets, backpacks for TKB and Lauren. Instead of acquiring satellites, I was cueing up the camera. Pretty soon it was time for Lauren and TKB to get in the start corral. This race wasn’t large, by any means; however, the narrow streets of the outdoor mall shopping center made it pretty tight to let everyone loose. I believe they had four or five waves starting about 2 minutes apart. Once the third wave was released, Lauren and TKB were off to fight through the mall and neighborhood to the north. Now I was lonely, my training buddy, Lauren’s husband, stayed home with the kids because it was too cold to bring them out, so I had to fend for myself. I decided a nice latte would keep the insides warm since I wasn’t able to do so with the race. My level of exploration wasn’t that far reaching though and I quickly gave up the hunt. 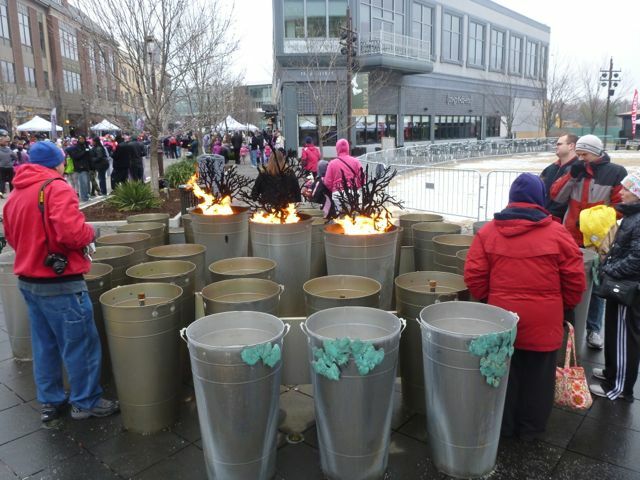 With the temps being in the 30s, there were a few places to keep warm. I did walk around a bit to see what all was going on. I never put much thought into the fact that at many races there is this Gobots style transformation that occurs. It’s when the start line gets replaced with this smorgasbord of post-race nutrition, photo ops, chip collectors, and medal givers. 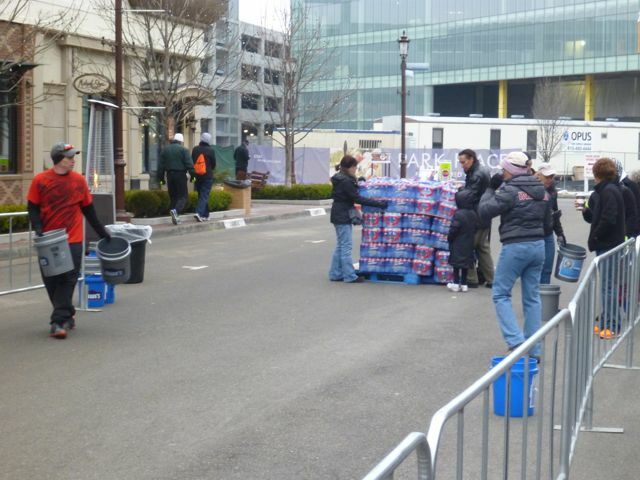 The race ninjas/elves/fairies brought out the water bottles, setup the chip collection buskets, and start preparing the medals. 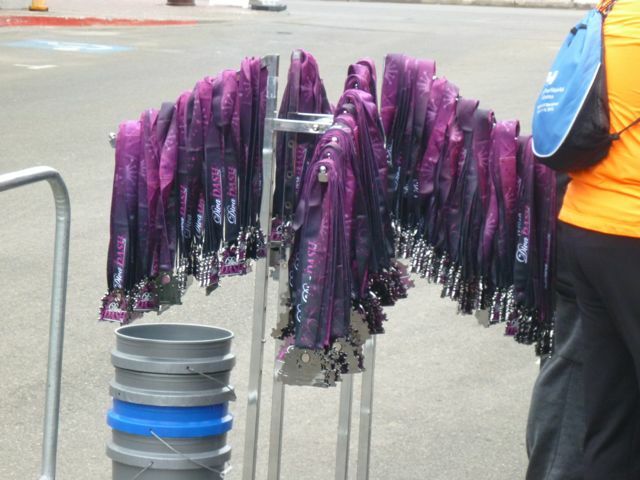 For this being just a 5k, they had some pretty sweet medals for the participants! One particular switch-a-roo I found interesting was the race clock. At the start it was set in a countdown mode but needs to be changed to the actual race clock. Boy was I surprised that this wasn’t some sort of atomic clock setup or matched to the GPS or something. Nope. There was some dude waiting to start the clock at 16:00 when someone inside the timing truck gave the signal. Another interesting tidbit was regarding the race course. 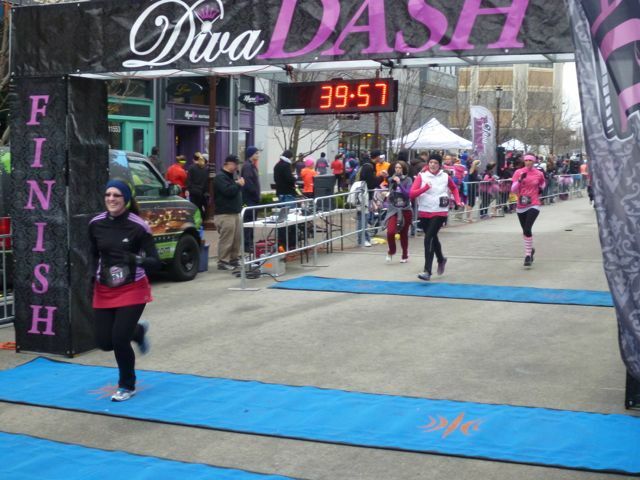 I didn’t know the course but I wanted to make sure I was positioned appropriately to get that all-important finish line photo. Originally I thought they would be coming back through the finish chute in the opposite direction because it said “FINISH” on the north side of the structure. Naturally I figured it out when the post-race nutrition was setup but it dawned on me that they want the “FINISH” to be in the finish-line photo as well. Soon enough I decided to get in position for when Lauren and TKB finished. TKB has told me countless stories of having to jockey for position, sometimes requiring an elbow or a stern look to ensure your well earned spot is safe. No issues for me though… being 6’4” does provide some benefits for working around the non-civil spectators. 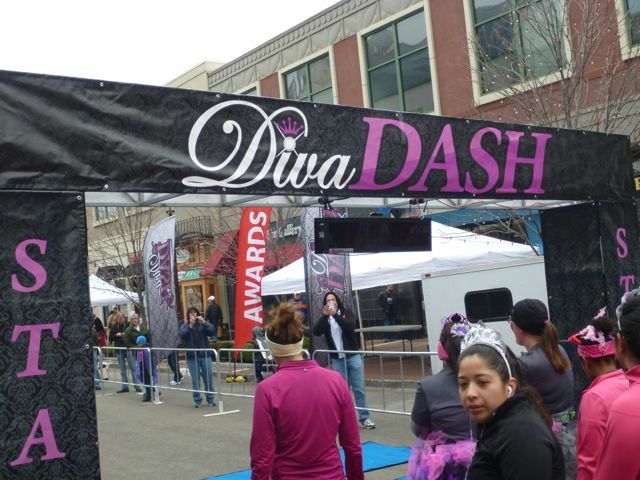 Fortunately, for this race there weren’t very many people setting up for the photo op. 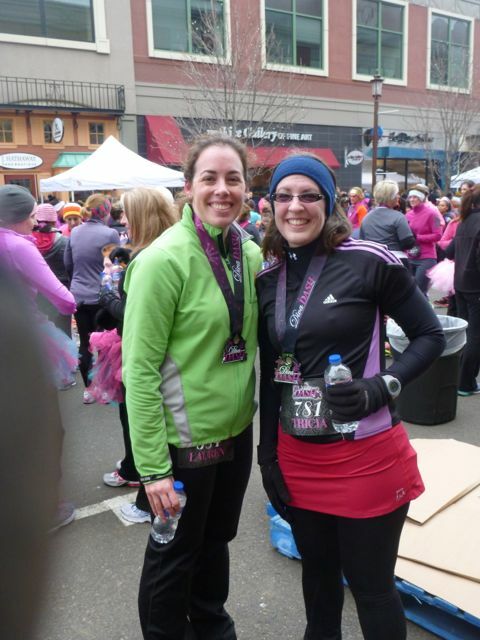 Lauren and TKB both utilized the GPS tracking, Glympse, so I didn’t have to worry about missing them at the finish. The only problem was I didn’t know the course, so I still had some questions as to exactly when I would see them. 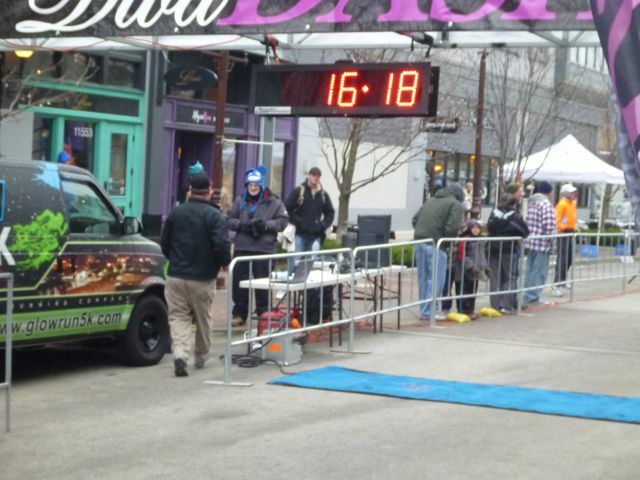 This was truly the first time I have seen the overall first place finisher cross the line. I’m not a fan of 5Ks because they HURT. 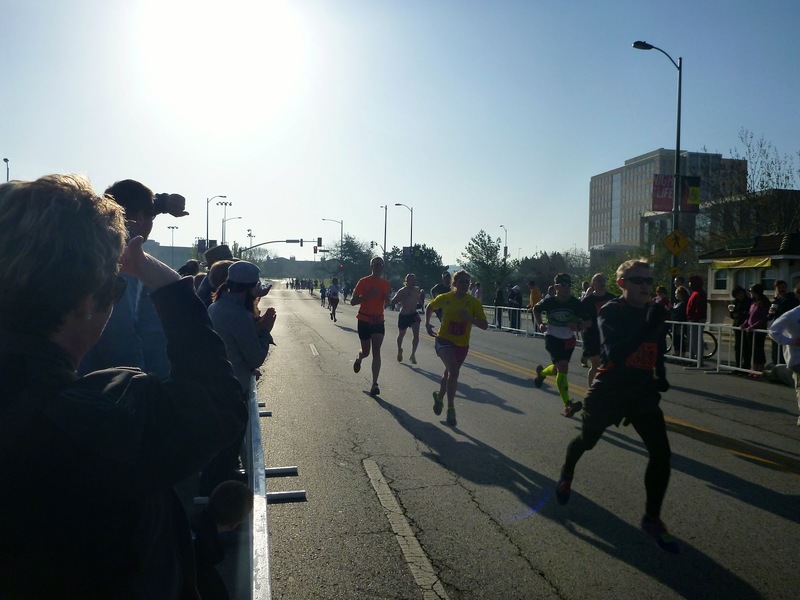 Yes, marathons hurt, but it’s a different kind of hurt. The wheezing sound is actually your lungs trying to escape. Watching the first place finish cross the line in what appears to be extremely effortless stride was frustrating, yet awesome. I continued to watch the ladies finish. This included an 11 year old who crossed right as the clock ticked 20:00. It was amazing! About the 28-ish minute mark I saw Lauren make the final turn. Since they started in the third wave, their chip time is 4 minutes slower than the gun time. Sub-30! Then SOON after Lauren was TKB! Her training in March was sideline by a few things but she ended up with a Personal Record (PR)!!! Lauren also PR’ed! It was a record day for everyone! I’m so proud of her!! After Lauren and TKB picked up their medal and water they noticed my trembling since I never went inside to warm up during their fast runs. We trotted up the parking garage and took off for a local bakery (Great Harvest) where I finally got my hot beverage and some delicious lemon blueberry bread. 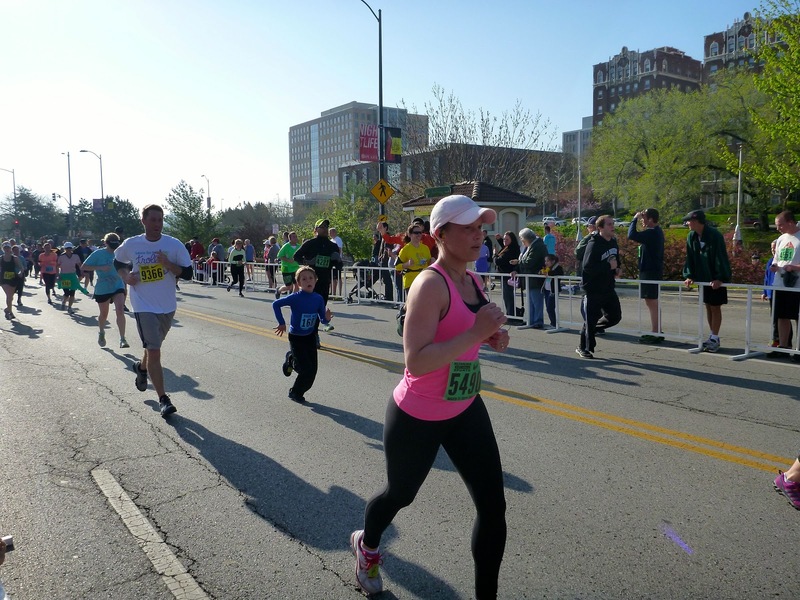 For shorter races, plan your mid-race activities wisely. Not a lot of time to go hunt down that perfect drink or find that spot in near the finish line. Prime spots for finish line photos were pretty available, but I could see how they could fill up fast. A note about that, don’t miss your athlete crossing the line. 5k or marathon or whatever, it’s important to see them finish a task that is as great as this. It’s likely that they have put a lot of effort preparing for this race. If you have kids, make sure they are there too because it’s a great example of being healthy. Joe VI and I worked it out so he could Facetime with Lauren after the race so the kids could congratulate her! Being there electronically is just as good! Prepare to carry. 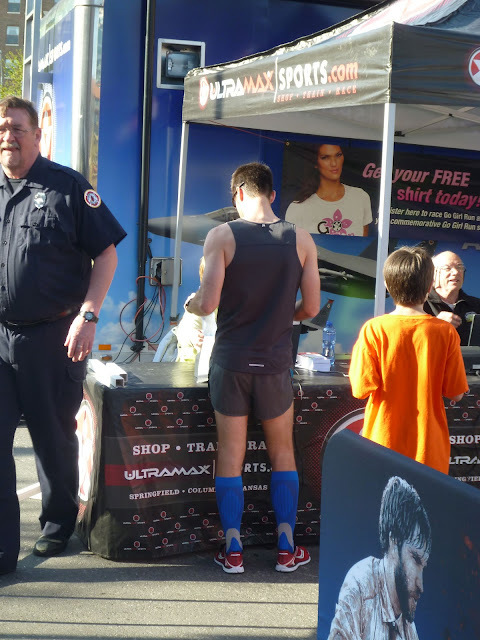 Most races have bag checks but sometimes your athlete might not want to deal with that. For longer races, you might want to consider your food options as races like a half marathon or full marathon may mean waiting around for a few hours. Bring a book or other entertainment options. Traveling to the race? Book a hotel close to the site in case you want to go back for a nap. GPS tracking. While this technology isn't 100% reliable it is a savior when it works. 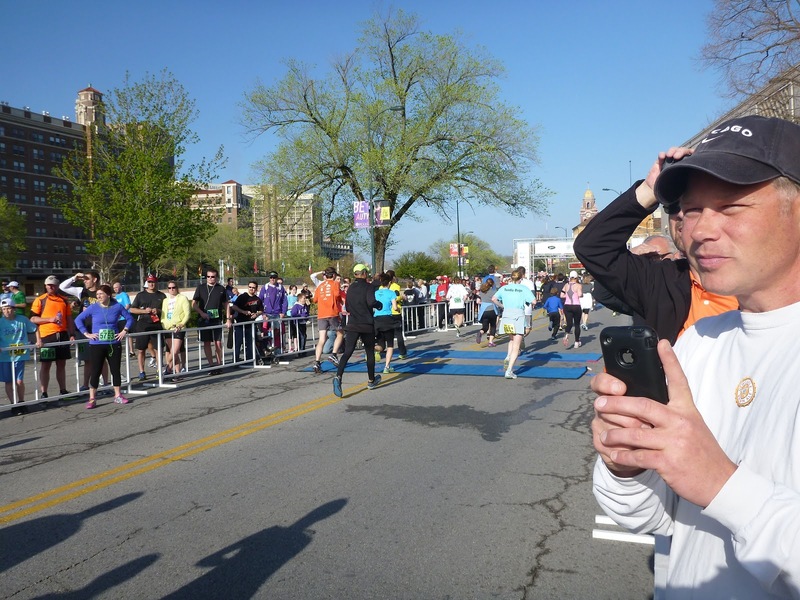 As mentioned previously, we use the free Glympse software that runs on a smartphone and transmit the runners GPS coordinates and speed to a web site. People with the link can visit that site (or use the app on their own phone) to follow the athletes. It will show multiple runners within the app. There are other apps but I have really only used Glympse. Garmin has one that will display data from the Garmin devices, provided they have a way to record the ANT+ data on their phone. We just used this for our Brew-to-Brew team. Someone carried the cell phone in a running belt so we knew when to start looking for the runners. It saves so many headaches. 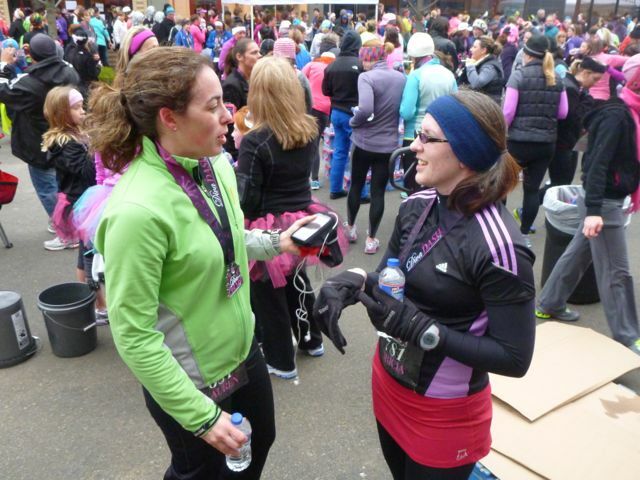 Discussing the race or how awesome I was doing the support duties.